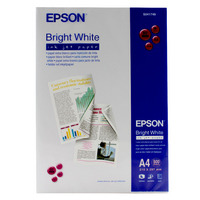 Epson Inkjet A4 Paper 90gsm Bright White Ream (Pack of 500) S041749 C13S041749 Pack of 1 Bright white paper, uncoated for general use. Quality 90 gsm paper. Great results with Epson Stylus inkjet printers. 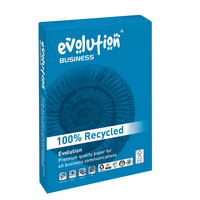 Made of 100% recycled paper. Format: A4 (210 x 297 mm). One ream of 500 sheets. 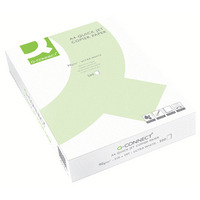 Q-Connect Premium A4 White 90gsm Inkjet Paper (Pack of 500) KF01090 Pack of 1 Q-Connect Quick-Jet Paper. Superb performance and high quality colour and line definition from this ultra White 90gsm paper for all laser and mono inkjet applications. Size: A4. 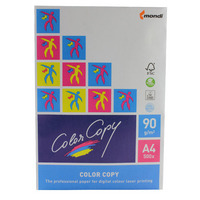 Color Copy A4 Paper 90gsm White (Pack of 500) CCW0324 Pack of 1 Color Copy Paper. Ideally suited for colour copying, colour laser and digital printing, ensuring true colour copies, laser printouts and optimum results from desktop publishing every time. Size: A4. Weight - 90gsm. Colour - White.